Home » Blog » How Can Artificial Intelligence Ease Your Integration Challenges? How far we’ve come! It wasn’t that long ago all integrations were performed using extract-transform-load (ETL) or basic remote services like Corba and XML. With the advent of faster networks like HTML and Json, and easy-to-use and general purpose interface like Restful APIs, there has been a significant improvement in integration technologies and advances in the connected world. Refrigerators, today, can recognize what food you’ve stored inside, provide shopping lists on your phone, and place orders through apps, and then there are self-driving cars! What’s next? The standardization and stabilization of operating systems, programming languages, and interface mechanisms has helped the growth of this connected world. It’s still complicated though. Some public universities have thousands of published APIs to satisfy the requests for easier system integrations and a seamless experience. With so many applications and each with its constantly evolving interface definitions, it’s still a nightmare out there! Sure we now have new paradigms like distributed API management and identity servers to manage and version all these APIs but have we forgotten a basic tenant — to work smarter not harder? Or maybe we forgot to teach our computers not to be bigger and stronger, but to be smarter, use improving intelligence, and handle the ever increasing complexity? The next natural step is to merge these individual applications into coherent, intelligent systems of a broader nature. As a multitude of applications (that often serve the same purpose) have already been created by or installed in the enterprise, the most accessible way of integration is giving each of these applications an easy way to communicate with each other. By doing so, each application by itself becomes a module which can then be tried in various settings and configurations of larger architectures. And how do we get there — to smarter computers and more useful integrated systems? Computers that can relieve humans of boring, tiresome, and repetitive work? In decades past we tried AI with the magic sauce. Magic languages, and magic algorithms to teach computers to think. Sure we made some improvements there but no where close to the dream of an autonomous machine. So let’s take a step back. A car that can drive itself is a huge advancement. How do we get there? Tools; Building blocks; Radar; GPS; Pattern recognition; Leverage those faster computers that can make faster decisions with less power. We’re starting to see similar advancement in integration solutions. The tedium of mapping systems, data, and bits has to be improved. We’re now seeing applications leverage the knowledge built in to the data dictionaries that have been collected to automate this tedious task — the use of analytics and business intelligence to look for trends and patterns, that can be used to improve not only the configuration of integration tools, but also to improve the process, the human patterns that cause us to make the same mistakes, have the same errors in our code, and the same flaws in our systems. Also the leveraging of more intelligent routing and messaging protocols are having a significant affect on the effectiveness of sharing information between distributed multi-modular systems, i.e., an easier glue of the combined systems using publish/subscribe protocols without the need for any programming or coding. All of these advances are coming. 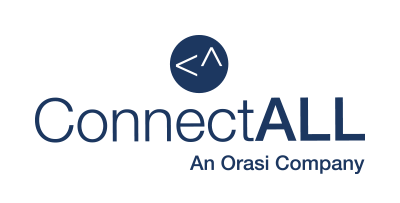 You’ll see them in the coming releases of ConnectALL. And the collaboration with our customers and increased utilization of toolsets are bringing us into a friendlier, less tedious, FUTURE.